Next week will mark the 10th anniversary of the release of Shadow the Hedgehog, a spin-off game of the Sonic the Hedgehog series that focuses on Sonic’s dark counterpart Shadow, who after the events of Sonic Heroes, tries to find out his life’s purpose and overcome amnesia as he searches for the seven Chaos Emeralds, powerful gems that turn him into Super Shadow when gathered together and that may hold the key to his past. The gameplay for Shadow the Hedgehog incorporates most of the elements seen in the majority of the Sonic the Hedgehog series: mainly collecting Rings for health, and defeating enemies by any means necessary, especially–as the game’s cover art implies–weaponry such as firearms, bazookas, and even swords, depending on the player’s preference (although at the time, the notion of weapons being featured in a Sonic game was considered by the fans to be too edgy, even by today’s standards). Players have the ability to affect the storyline by embarking on missions labeled as Hero, Dark or Normal, depending on the path they want to go down on. Hero missions involve Shadow assisting the heroic characters of the Sonic series, including Dr. Eggman (on one occasion). Dark missions involve Shadow assisting either Eggman or Black Doom, the leader of the invading alien army Black Arms (who claims to have known Shadow at all) annihilate the Guardian Units of Nations (G.U.N.) troops. The Normal missions involve reaching the Chaos Emerald or the Goal Ring without anyone’s help, plain and simple. The completion of Hero, Dark or Normal missions determines which level is subsequently available. Now, allow me to explain Shadow’s background. In Sonic Adventure 2, his first appearance, Shadow the Hedgehog was created 50 years prior to the events of the game by Eggman’s grandfather, Prof. Gerald Robotnik, as a part of Project Shadow, with the goal of creating a creature endowed with immortality in order to cure Neuro-Immune Deficiency Syndrome (N.I.D.S. ), a fictional equivalent of AIDS that affects the nervous system while simultaneously weakening the immune system. Maria, Robotnik’s granddaughter and Eggman’s cousin, inspired Project Shadow as she was diagnosed with N.I.D.S., and Robotnik couldn’t bear the idea of losing his granddaughter to such an incurable disease at a very young age. I didn’t like Shadow the Hedgehog when I first played Sonic Adventure 2 because of his supposedly evil demeanor. Looking back on it, I saw why Shadow was mean-spirited towards the other characters–it was due to the death of a loved one. Two months prior to the release of Shadow the Hedgehog, I lost my father to liver cancer in 5th Grade which, being autistic, meant diving into anger and other psychological issues associated with the loss of a loved one, especially because I was unable to attend his funeral. Unlike Shadow, I wasn’t mad at humanity. Rather, I was extremely pissed off at the disease that took my father away from me at a time when I needed him the most, and I took the anger that was supposed to be directed at the fatal illness out on some of my classmates at school when they interrupted me from my homework assignments (although I was very smart in other areas of life due to my Asperger’s syndrome, I started taking my schoolwork very seriously at this point). Over time, I came to like Shadow as a character not because of his good looks like most fangirls, but because I can relate to his pain of losing a loved one, even to this very day because I lost my grandfather earlier this summer. Strange having a fictional friend, isn’t it? 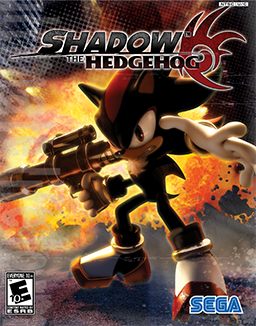 Ironically, Shadow the Hedgehog was released in the United States on my grandfather’s 65th birthday, Nov. 15, 2005. On an end note, here is the opening cutscene from the game.